Cornwall’s first Vital Signs® report gives us concise analysis of the changing social needs in our communities. We commissioned this research to improve our understanding of these issues and how they can be addressed. PLEASE CLICK HERE to download the Vital Signs update as a PDF. We hope that you find our Vital Signs report a useful guide on how you can support the issues that you are passionate about. PLEASE CLICK HERE to download your Vital Signs as a PDF. 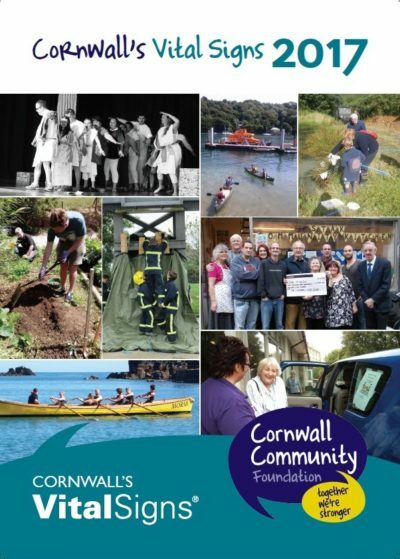 For printed copies please contact office@cornwallfoundation.com or call 01566 779333. 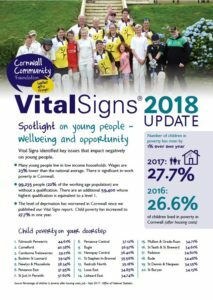 Cornwall’s Vitals Signs 2017 report is a concise version of the detailed Cornwall’s Vital Issues 2017 report. It can be downloaded here. Vital Signs is supported by UK Community Foundations.